The Hachijuni Culture Foundation was established in March 1985 to prosper art and culture of the local community. Serving as “The cultural Information Center of the community” our main goal is to nourish life of the community. In April 1st, 2011, we made a new start being authorized by Nagano Prefecture as Public-interest Incorporated Foundation. Although we have changed the structure of the organization, we have not changed our desire to commit toward the local community. We will continue to enhance cultural living and art for the creation of better community. 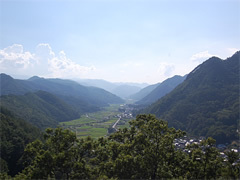 Research on Nagano's traditional culture, arts and the environment with a focus on community development. Research on currency systems in Shinshu, including both public and private notes from clans, post-towns and merchants as well as wooden wage tokens. 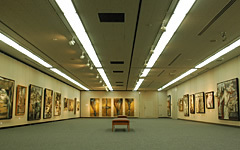 The Foundation collects and provides information on Nagano's literature, cultural assets, museums and art institutions. In addition, information is accessible the search function of this website. An Official bulletin,"Chiiki-bunka"(Local Culture) is a quarterly journal which introduces selected topics on Nagano's nature and culture. Friends' Club News is an informative newsletter dealing with timely topics and current events. It is published bimonthly. 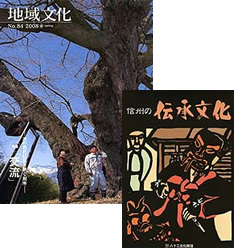 Publication of journals,"Nagano Ken no Kyodo to bunka"(The People and Culture of Nagano) , "Nagano ken-no-bunkazai"(The Cultural Assets of Nagano). "Shinshu no densho bunka"(The Traditional Culture in Shinshu) and "Shinshu no nenchu gyoji to shoku"(The Annual Events and Eating Habits in Shinshu) These are available to the general public, providing detailed reports on the foundation's activities. 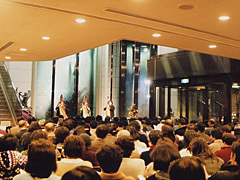 A variety of concerts are held featuring musicians who perform both in and outside the prefecture, as well as lobby concerts spotlighting young local musicians. Various lectures take place which cover a broad spectrum of academic fields, such as nature, history of Nagano and ancient writing. There are also tours of museums. Noted experts speak on a variety of topics and issues. This spacious 264 sq. m. building is fully equipped with air conditioning, special lighting, and movable walls, allowing the gallery to be adapted for exhibition of paintings, photographs and sculpture. It functions both as a place for exhibition and communication. This space is available for public exhibitions. Sponsorship from the foundation is also available on request. Admission free. Gallery Plaza Nagano opened in May 2001, at Shinden-cho Crossing of Chuo-dori in downtown Nagano. This space is open to anybody for their private exhibitions. 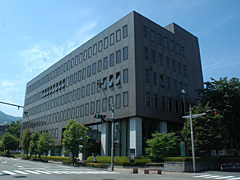 Space82 is a museum on banking and monetary systems of Japan and the world. 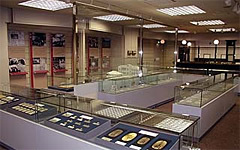 Visual displays allow visitors to learn more about this aspect of culture. Admission free. 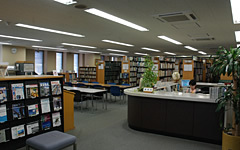 In this public library visitors can explore the literature of Nagano and the history of Hachijuni bank, as well as the fields of economics, art and culture. Microfilm from Kagetsu Library and every issue of the Shinano Mainichi newspaper are also available. "TOMONOKAI" aims to be life-enriching by making information available about various events and cultural experience. We look forward to your membership. Joining is simple. Anybody wishing to join should complete an application form which can be obtained at any Hachijuni Bank counter. Membership fee may be paid by direct bank transfer. Priority invitations and special discount rates for events such as concerts, lectures and tours. 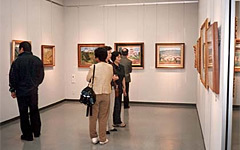 Special discounts at affiliated art institutions, museums and concert halls throughout Nagano. Publications such as "Chiiki-bunka"( Local Culture ), published quarterly, and Friends Club News, published six times a year, are mailed directly to members. c Copyright 2008 THE HACHIJUNI CULTURE FOUNDATION. All Rights Reserved.